Vice President Yemi Osinbajo, governors of Kaduna and Oyo states, Mallam Nasir el-Rufai and Abiola Ajimobi, respectively and other eminent Nigerians yesterday stressed the need for the country to be restructured to overcome myriad of problems confronting it as a nation. 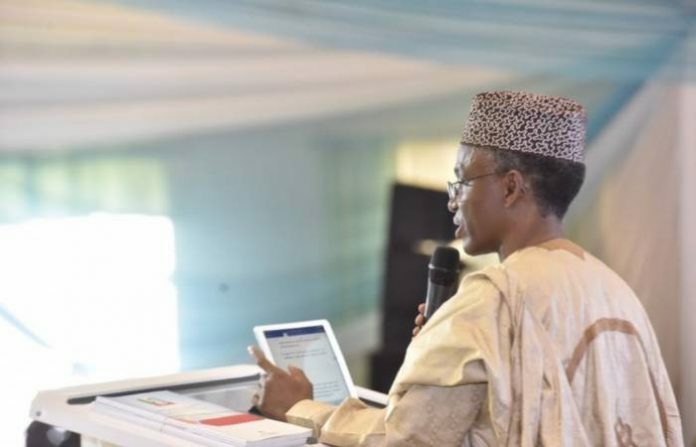 Speaking at the event, Governor El-Rufai stated unequivocally that people of the northern part of the country were ready to embrace restructuring which has dominated public discourse for quite a long time. He spoke in Ibadan while presenting a keynote address at the Bisi Akande colloquium with the theme “Nigeria: Achieving National Unity Through Peaceful Restructuring”, held at the University College Hospital, Ibadan. At the colloquium which formed part of the activities marking the 80th birthday anniversary of Chief Bisi Akande, el-Rufai maintained that restructuring was an important matter, despite efforts by certain sections of the nation’s elite to trivialise it. “With all sense of responsibility, I believe some Nigerians have made a career and livelihood around “restructuring” without deep thought, or a clear plan or implementation strategy. For them, it is a tool to alienate rather than convert our compatriots to the nation-building imperative that restructuring offers. Rather than the hard graft of solving our governance problems, this group would rather grab headlines and mouth sound-bites at opportunities like this. You can almost sense that this people actually dread restructuring becoming public policy, having succeeded in living off a serious national imperative for so long. We must be mindful of this class of people”, he added. Also speaking on restructuring, Prof Yemi Osinbajo, who also threw his weight behind restructuring, noted that for it to be successful it should not be made to pass through the National Assembly, but should be pursued through the law courts. Governor Ajimobi said, the celebrator, “Chief Akande, best captures the essence of restructuring in one of his addresses entitled: ‘Devolution of Powers and National Restructuring’, which he delivered at the APC-USA Second Annual Convention held in Washington DC, in October, last year. He cautioned that mere sloganeering on restructuring without any clear definition, peaceful and workable strategy is an invitation to chaos. However, he noted further that making appropriate amendments to the 1999 Constitution for equitable re-arrangement and redistribution of existing local government areas and states must precede restructuring. Among discussants at the event, Senator Ken Nnamani, former Senate President, Professor Adigun Agbaje, Department of Political Science, University of Ibadan and Senator Olu Adetunmbi, Secretary, APC Committee on Restructuring, said there was nothing wrong in restructuring the country but how it would be done should be the concern of Nigerians. Senator Nnamani who was reacting to the keynote address stated that restructuring would elicit healthy competition adding that APC as a party was not opposed to restructuring. Prof Agbaje in his own contribution wondered how restructuring would be done without talking about national unity and cultural diversity and the weak rule of law. Some of the dignitaries are Asiwaju Bola Ahmed Tinubu, National leader of APC, Governor Abiola Ajimobi of Oyo State, Governor Gboyega Oyetola of Osun State, Governor Kayode Fayemi of Ekiti, Governor Nasir El-Rufai of Kaduna State, Governor Arakunrin Rotimi Akeredolu of Ondo State, Governor Akinwumi Ambode of Lagos State represented by his deputy, Dr Idiat Oluranti Adebule, Minister of Health, Prof Isaac Adewole, Minister of Information, Alhaji Lai Mohammed, former Senate President, Senator Ken Nnamani, and former Governor of Osun State, Ogbeni Rauf Aregbesola. Others are the gubernatorial candidates of APC in Oyo and Lagos States, Mr Adebayo Adelabu and Mr Babajide Sanwo Olu respectively, Prof Adigun Agbaje, Department of Political Science, University of Ibadan, General Alani Akinrinade (rtd), senators and other members of National Assembly.